September 1938. "Coal miners waiting for the bus to go home in Osage, West Virginia." Medium format negative by Marion Post Wolcott. View full size. 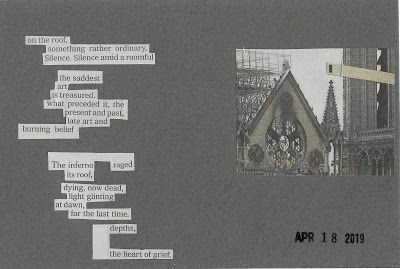 September 1938. 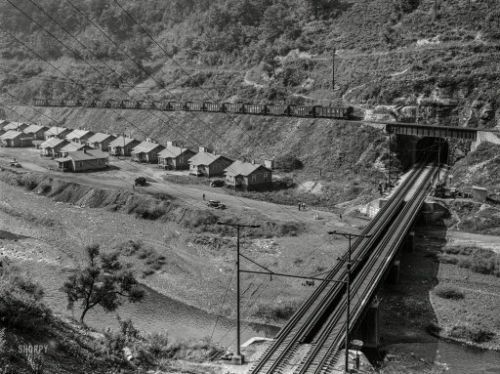 "Coal mining community near Welch, West Virginia." Medium format acetate negative by Marion Post Wolcott. View full size. 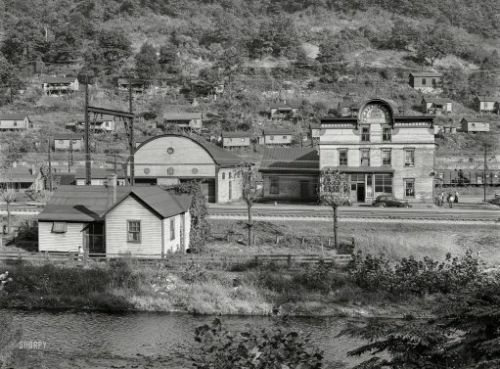 September 1938. 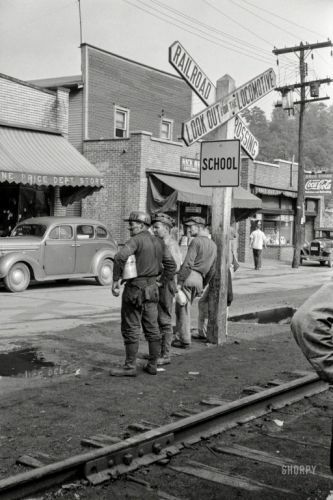 "Coal mining community near Welch, West Virginia." Medium format negative by Marion Post Wolcott. View full size. 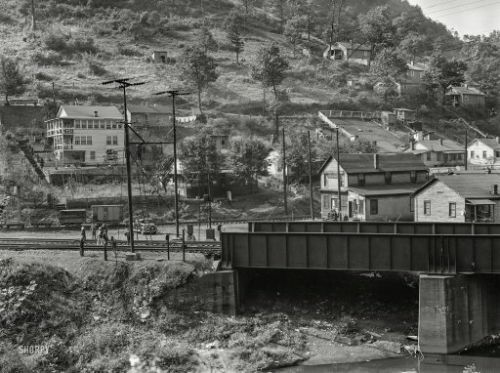 September 1938. 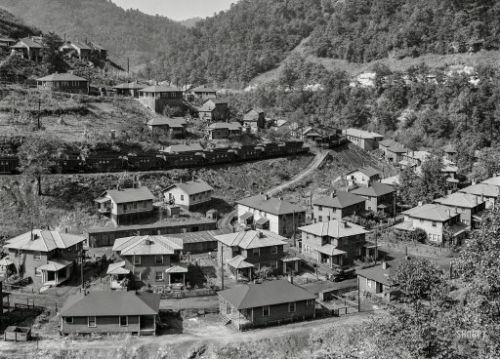 "Coal mining town of Welch, in the Bluefield section of West Virginia." Medium format negative by Marion Post Wolcott. View full size.